It’s almost exactly one year since an unexpected call from Texas has me running for my handbag down the side aisle of St. Martin of Tours. 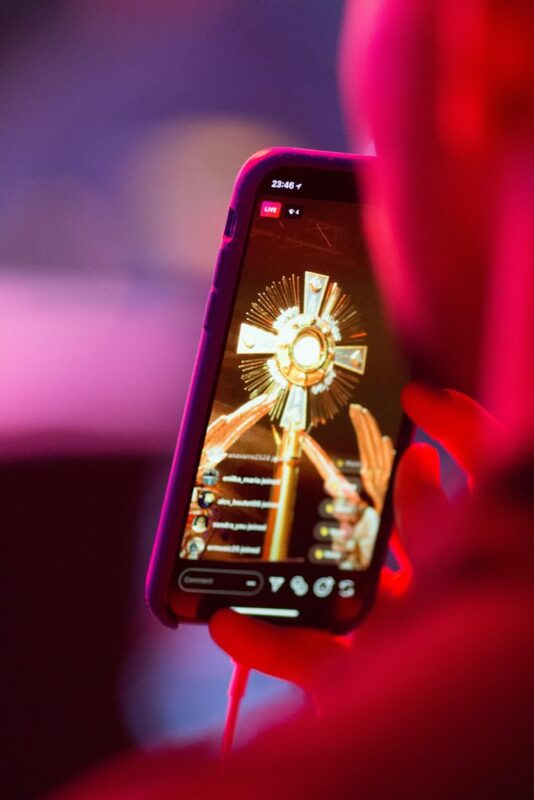 I’m habitual about turning off the phone before Mass, but on this late Monday morning, it isn’t Mass that brings me to our parish — it’s Lent. As a career florist, I help beautify the sanctuary for Lent, Easter, and Christmas. Ash Wednesday is two days away, and I’m flying to Nebraska early in the morning to visit my daughter and toddler granddaughter. I hold back all questions but the first. “I Googled ‘fresh flower rosary Dallas,’ and you came up on the first page.” She tells me that she wanted to make a fresh rosary herself, and entertained the idea with enough worry that her husband says, “I bet somebody already makes them. Do a web search. Oh, dear Lord. Our granddaughter will be two in June. Instantly I realize there is a staggering amount of pain in this woman’s family, but two days before Valentine’s Day — yes, Ash Wednesday and Valentine’s fell on the same day last year (neat trick, God!) — I need to immediately wrap up the church decor and run to the local floral wholesaler to get roses, or I can’t help at all! Pink is preferred for Gracie Ann’s rosary, but Kelley says it’s OK if it’s not pink. 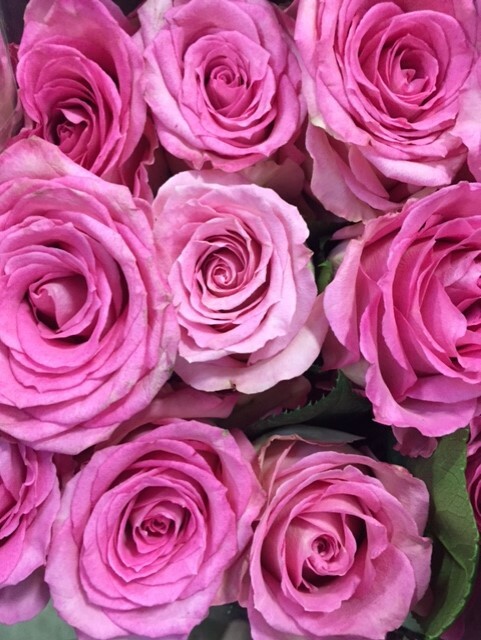 I zoom to the floral supply house and my rep, Kim, finds three bunches of a lovely ombre’ pink rose called “Sweetness,” exactly the amount needed, not on the sales floor, but hiding in a box in a back cooler. It seems the local shops are done with their Valentine’s buys, and here these roses wait, with no suitors or love interests. She also lets me have them for the normal price, not the market-driven-elevated-Valentine’s Day price. The first hurdle crossed, I bring the roses home to hydrate. This isn’t meant to be a work day. I’ve loose ends to tie before travel, but the roses need a good long drink to make it through Friday’s scheduled Mass of Christian Burial, following their long trip to Texas. Next up is an evening field trip for our local healing prayer ministry. It’s about an hour’s drive to the revival-style prophetic prayer meeting — yes, Catholics do that — which gives me time to update Kelley on the progress of her order, and to hear stories of Gracie Ann. Stay tuned for the conclusion of this story — I don’t know if it’s two parts, or three parts, or more, but I promise it will be good! !